期刊 文章作者．论文题目（篇）名[J]. 刊名, 出版年, 卷号（期号）：起页码. Zhang L., Qu X. H., Duan B. H., He X. 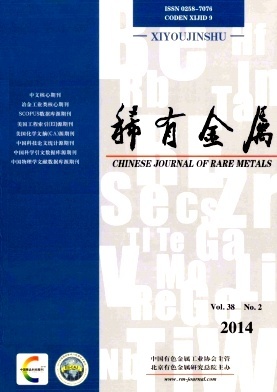 B., Lu X., and Qin M. L. Study on microstructure and properties of SiC／Cu composites fabricated by spark plasma Sintering [J].Chinese Journal of Rare Metals, 2008, 32(5): 614. (章林, 曲选辉, 段柏华, 何新波, 路新, 秦明礼. SiCp/Cu 复合材料的 SPS 烧结及组织性能[J]. 稀有金属, 2008, 32(5): 614. Wang X Q. The Smelting of Vanadium-Titanium Bearing Magnetite by Blast Furnance [M]. Bejing: Metallurgyical Industry Press, 1994. 68.